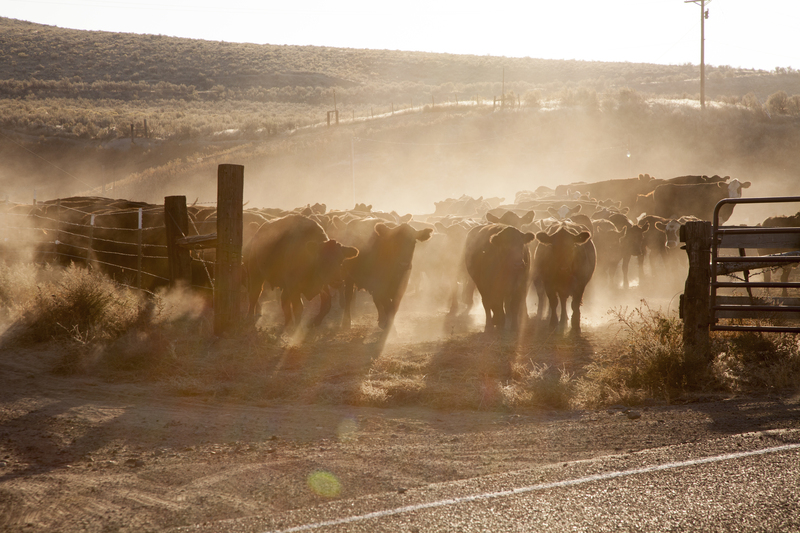 We are a 100% Grass-Fed Beef Family Farm located in Eastern Oregon. Our cows enjoy green grass, sunny skies & have a darn great quality of life. 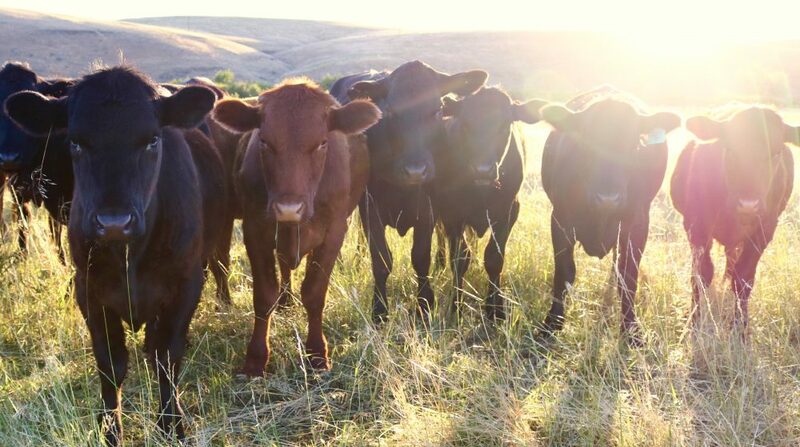 Our beef is raised on a family farm and our animals are pastured for the majority of the year. During adverse weather, animals are fed almost exclusively forage from our own farm, consisting predominantly of grass hay. Never are our animals fed any grain or are they given any growth hormones. No antibiotics are given in the feed and if an animal becomes ill and must be treated, it is generally with penicillin. Animals have access to pure unlimited water and are rarely confined in a corral. Overall good animal health is a constant goal. Animals are selectively bred for desirable characteristics such as good muscling, fast growth, and mild temperament. Handling of our animals is most often accomplished by voice and as such, frequent rotation of pastures is the norm. Our animals are used to us and are raised in as calm of environment as possible. Our animals are hardy and since they are raised in a semi-arid desert; most have never seen the inside of a barn. We take pride in raising quality animals and we eat nothing but our own beef. While our primary focus is grass-fed beef, we also produce farm-raised pork. We strive to raise healthy hogs, which results in robust animals with little need for doctoring. One of our specialties are 1/2 pork, 1/2 beef sausages. We have had many customers remark that these products are particularly delicious. Please call 541.377.1851 for more information. THANK YOU for supporting small farms.